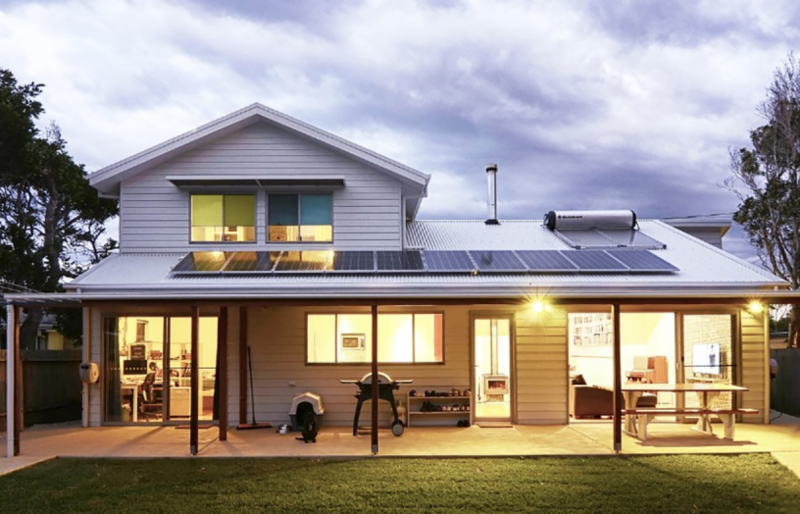 A 7.8 kW solar system teamed with a 9.8 kWh battery, plus measures to reduce their energy use, all help ensure Jonathan Prendergast’s Sydney household is a net energy exporter. Jonathan Prendergast has focused his family’s energy efficiency upgrades on energy guzzling appliances and lights, as well as installing solar and monitoring. 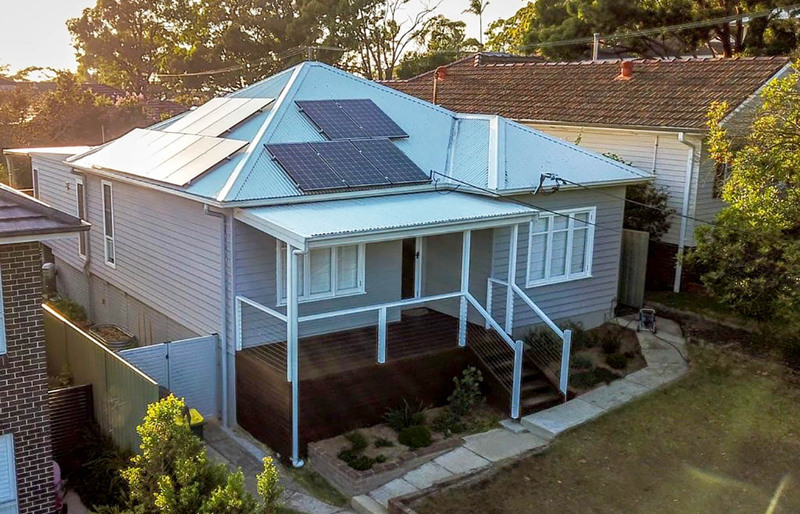 Having moved from Melbourne to Sydney’s Sutherland Shire (a warm temperate climate) 10 years ago, Jonathan Prendergast really notices what a difference the more temperate climate makes to his family’s energy efficiency investment decisions. Their three-bedroom 1960s weatherboard house does already have excellent ceiling and some underfloor insulation. 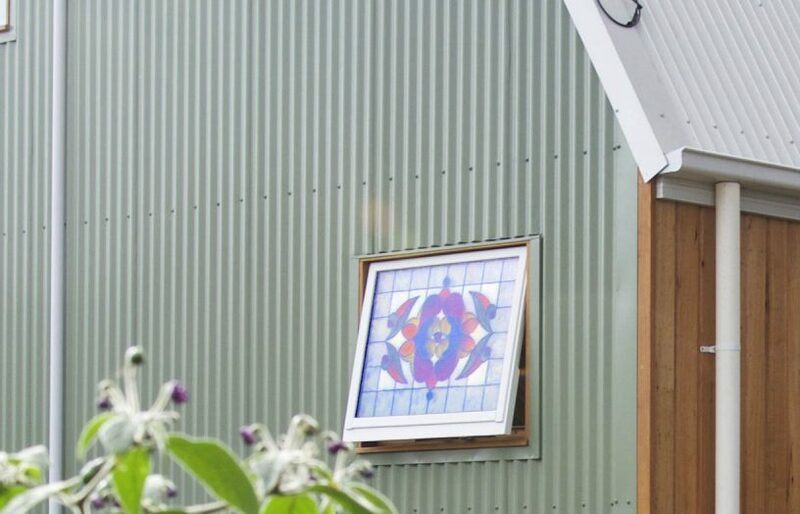 The main upgrades Jonathan has done since moving in four years ago are to replace the ageing resistive element hot water service with a heat pump; install a 7.8 kW solar PV system and a 9.8 kWh battery; and address the energy consumption of their 72 (!) halogen downlights. He disconnected ten, replaced the globes of 30 with LEDs, and installed five new high quality full LED units from local startup Absolute D-Light in the most used section of the house for lighting, the kitchen. The energy draw for all lighting has dropped from over 5 kW to around 1.2 kW. The solar and batteries have taken the family’s electricity bills into credit, and Jonathan says that rather than spend money on more insulation, it’s an easy decision to use a bit of extra electricity to run their reverse-cycle air conditioner for the short time in winter that they need active heating. Their daily consumption is around 12 kWh per day year round, rising to 20–30 kWh on winter heating days and the same for about 20 summer cooling days per year. 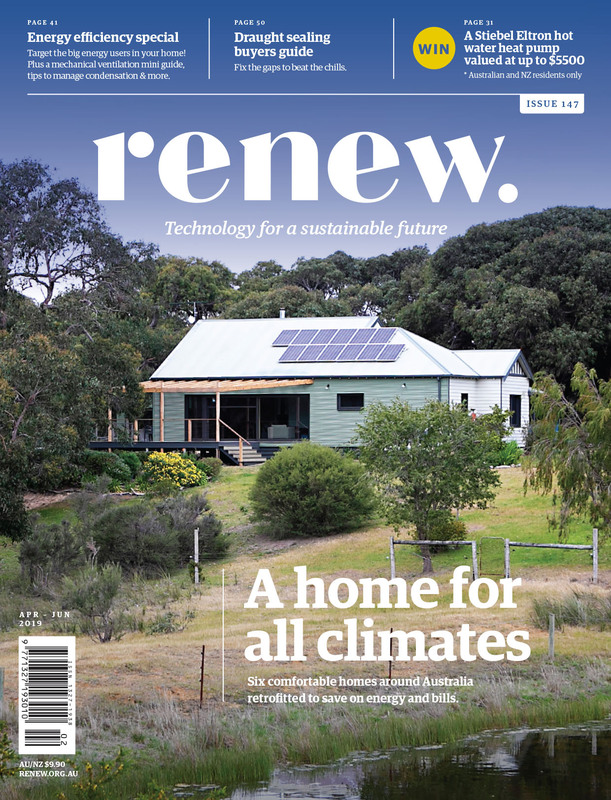 To read more energy efficiency case studies, check out Issue 147 (Apr-Jun 2019) of Renew magazine. Issue 147 has energy efficiency as its focus.